Reading and Writing Redhead: Freebilicious on the First! Happy 2013! I have linked up with Freebilicious to share a reading freebie for Jan. 1st! This would come in handing if you have any reading groups doing the Amelia Bedelia Series. It's a page where the students write and draw what she should have done vs. what she really did. Amelia is always fun to teach! Get it here at my Teachers Pay Teachers store or here at my Teachers Notebook store. 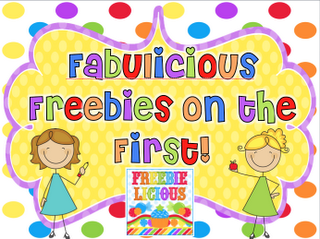 Then click on the button below to go over and get some other terrific freebies! Click here to go to Freebilicious! Just found your blog! Love the freebies! Thank you Jenna ! I appreciate it ! hi i'm your newest follower through TBTS ~ very cute blog! where did you find the html code to post the Leibster Award on your sidebar? Hi Sparkle! Thanks for coming by! To be honest, I couldn't find an html code for that. Instead I right clicked on it, saved it to my desktop, and inserted it into my sidebar as a photo widget. I hope that helps! Feel free to grab it that way from my sidebar if you like! Yay! Thanks Meagan! I appreciate it!